Writing for publication is an important component in communicating research findings to inform evidence-based practice in nursing. 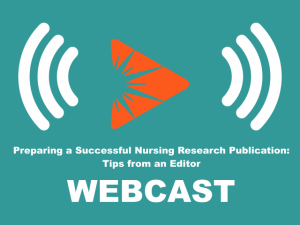 Join Dr. El-Masri as he shares his perspectives on this topic based on his experiences as an author and as the Editor-in-Chief of the Canadian Journal of Nursing Research. Appropriate for both novice and experienced researchers.